Purchase online SMF05C 5-Line Transient Voltage Suppressor Array in India at low price from DNA Technology, Nashik. 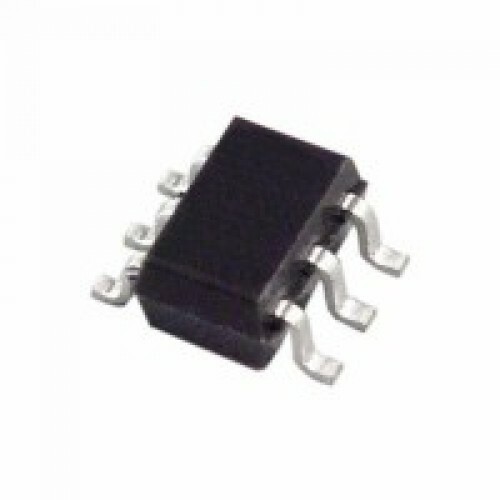 This 5−line voltage transient suppressor array is designed for application requiring transient voltage protection capability. SMF05C is intended for use in over−transient voltage and ESD sensitive equipment such as computers, printers, automotive electronics, networking communication and other applications. This device features a monolithic common anode design which protects five independent lines in a single SC−88 package. ESD Rating of Class 3B (Exceeding 8 kV) per Human Body Model and Class C (Exceeding 400 V) per Machine Model.